Mwirima outlines the problems of young people under 25 who make up 73 percent of the Ugandan population. Thus Uganda is the country with the most youthful population in the world. As regards the proportion of young people in the total population scoring Netherlands and Brazil significantly lower: in the Netherlands, 29.3% of the population younger than 25 and Brazil 40.9%. Anthropologist Carmela Zigoni is project Youth Manifesto at INESC Institute for socio-economic studies in Brazil. She says that INESC has deliberately chosen for the Youth Manifesto. Her documentary also shows how Brazilian young people more control over their situation, trying to get through to gain political influence. Through the Youth Manifesto draw the attention of young people on issues such as environment, employment, social relations and discrimination. According to Vermeer, there are so many groups in Amsterdam East bottom-active, but keeping them is not concerned with youth issues. He emphasized that the Ushahidi project with CEW-IT is a great example of South-North cooperation. 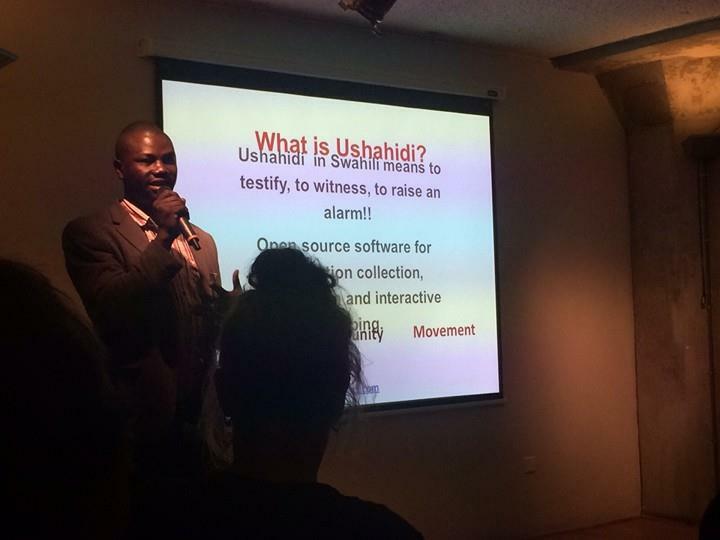 “The Ushahidi project shows how we can learn from you in Uganda. Indian Neighborhood Communities, KrachtinNL, Movisie Warehouse and the Silent together make this program on communities as contemporary form of citizenship. Centered on the perspective of the people who make these communities. What do they see as characteristics of their group? For which tasks they are and how they organize themselves? What makes them durable and how do they relate to institutional investors? Neighborhood Communities # 11 was organized with the collaboration of Network Democracy, the Young People’s Forum Amsterdam Oost and the Catapult team from Utrecht.